One of my puppy training tips is that before you bring your new puppy home you will want to create a quiet environment. You are looking to cultivate a place where your puppy feels safe, relaxed and will consider that space to be their home. I’d suggest getting a crate that he will sleep in and can be left alone while the family is out. Placing some toys and chew items in the crate will help your puppy to associate positively with the new setting. Never use the crate as a form of punishment. Some puppies and breeds are easier to train than others. Keep in mind that puppies are just babies with short attention spans. Allow your puppy to learn on their own time table. Puppy obedience training can be an opportunity to develop trust, and bond together. A fun and positive experience will go a long way for a happy, well behaved, adjusted dog and a great relationship with you. The essential basics for successful puppy obedience training are repetition, consistency, and patience. Be calm and assertive but do not raise your voice. Use positive rewards not punishment in your training sessions. Keep your session short, teach one thing at a time until the puppy masters the command and make this a fun playful experience for your puppy. 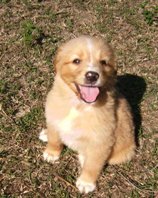 Puppy housebreaking is one of the first lessons to begin with your new puppy’s arrival. The crate is an essential training tool. Puppies will not want to mess in their own space and will try to hold it as long as possible. 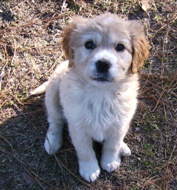 Take the puppy outside to their spot as soon as they awake from sleeping, playing and after eating. Take them to the same spot each time and say the same command such as go potty. Reward them heavily for going outside. Blatter control is not fully developed until approximately 6 months of age. Your puppy will make mistakes. Do not put their nose in the mistake. If you do catch your puppy in the act you can scoop them up and take then to the same spot and say go potty. Training your puppy by being consistent and clear will aid with your puppy housebreaking efforts. Walking quietly on a leash is a fundamental training your puppy lesson. The first time your puppy has a collar and Leash on they will find it strange and typically show resistance. Introduce the collar and leash in a quiet environment where there are no other distractions for your puppy to contend with. They will soon get use to the feel of the collar and leash and realize that pulling and trying to dash away is fruitless. As with all other training make your sessions brief, positive and fun. Socializing your puppy at an early age is very important. No later than 12 to 16 weeks is a window of time that puppies should be exposed to various people, other dogs and children. Take your puppy on walks to introduce them to variety of new settings. A lack of proper socialization can result in a dog that is fearful and can become aggressive and create various behavioral problems. One of the most important puppy training tips is that dogs are very social pack animals. It’s natural for the dog to look for a leader as well as the stability of the hierarchy of the pack. You need to be that leader. By establishing leadership right away a puppy will trust and look to you for direction, resulting in a puppy feeling greater security, relaxation, confidence and overall well being. Training your puppy utilizing kindness, respect and consistency will lay the foundation for a well adapted and inclusive member of the family.